Although my priority in Pamplona was – as always – food, I did find myself doing a little more than just eating my way around the place during my only full day there. As per usual there wasn’t really much of a plan. 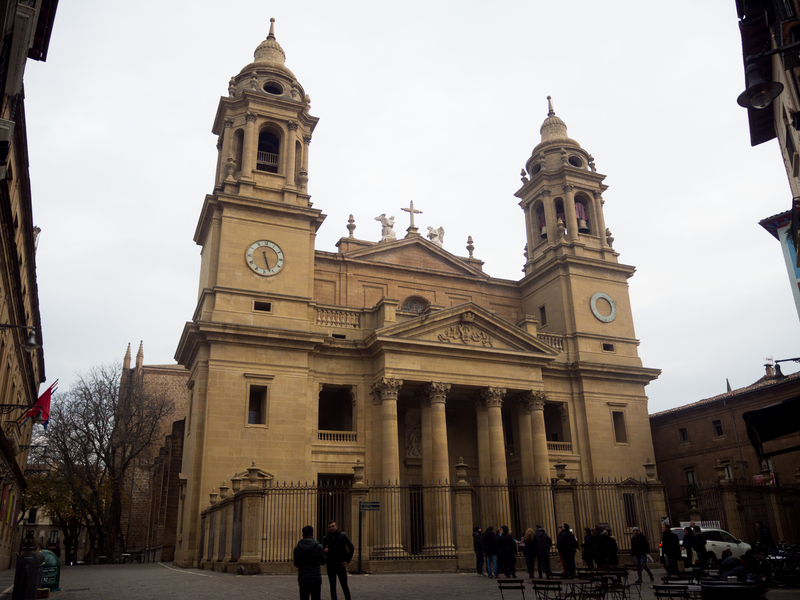 Many know Pamplona as the place of the infamous San Fermin fiesta where a bunch of absolute nutters are chased down the street by a pack of bulls. Sounds great, doesn’t it? However when it came to things to do during the other 51 weeks of the year I was a little less certain, so I went out armed with my camera and Google Maps and set about exploring the city. Aside from avoiding being gored to death by bulls, Pamplona is also well known as the home of some of the best-preserved city walls in Europe. 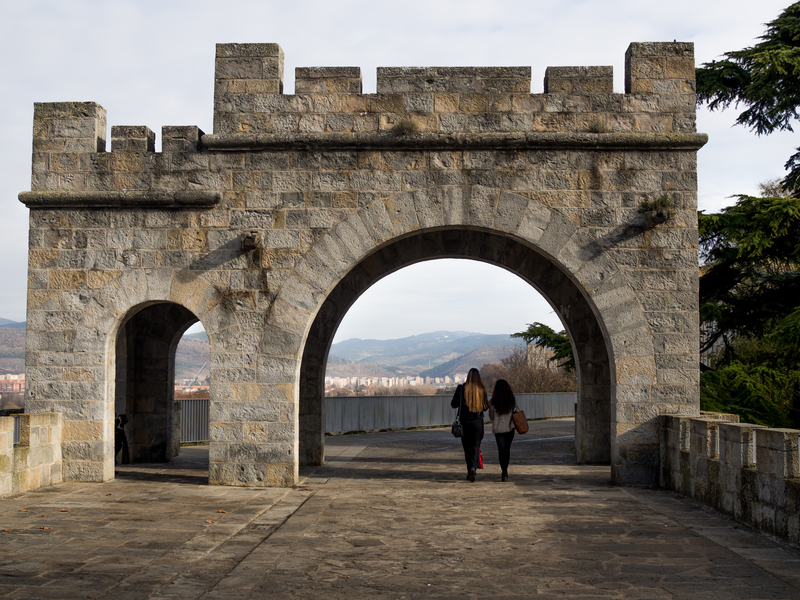 Just a small part of Pamplona’s 5 kilometre-long city walls. I started out with a quick visit to the ‘Interpretation Centre’ for a very reasonable €1, although I’d be lying if I said I interpreted much information there! As is often the case I had a quick stroll, read a few lines of history then headed off on my way. The walls weave in and out of the city and are a great point of reference if, like me, you’re not too sure what you want to see. 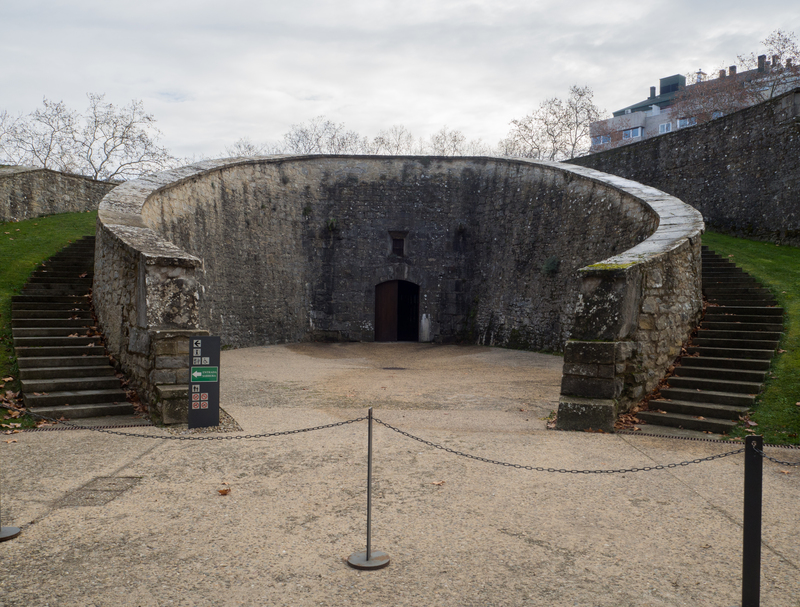 The five kilometre trail doesn’t feel too long and also takes in the rather impressive Citadel, so it’s definitely worth an hour or two of your time. The site of many an interpretation. Somewhat hidden on a university campus, this art gallery and museum seems criminally underrated. In fact, when I visited I was the only person in there! From what I gather this is often the case, which is a real shame. 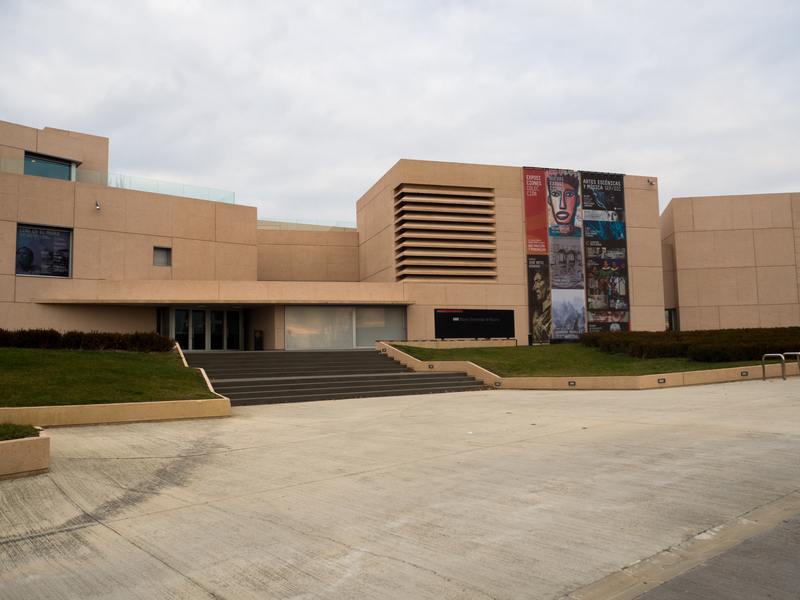 The seemingly underrated Museo Universidad de Navarra. For around €5 you’re able to explore three floors of artwork and a mixture of permanent and temporary exhibitions. Although I often quickly make my way around these places and feel like I’m just going for the sake of it, I really enjoyed a lot of the work on display here. 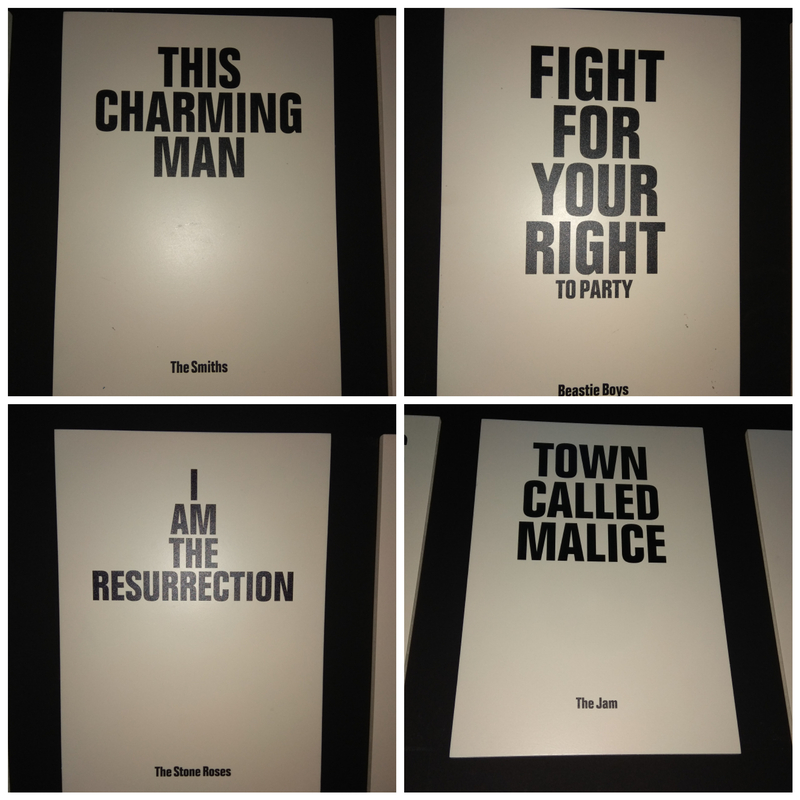 Of particular interest to me was the exhibition in the basement, which was something of a homage to music from the 60s, 70s and 80s with many references to some very familiar names! Any guesses as to why I enjoyed this exhibition so much? Other exhibitions included a really interesting mixture of photographs and collages by Juan Ugalde unlike anything I’ve ever seen before, and Fernando Maselli’s impressive collection mountain landscapes taken from what appears to be the middle of nowhere – certainly off the beaten path! Listen to me, acting like I know what I’m on about! I didn’t go inside, but it was pretty impressive from the outside. Here’s a picture. About as close as I could be bothered to get to the cathedral! Did I mention the food? You really should check out the food in Pamplona.